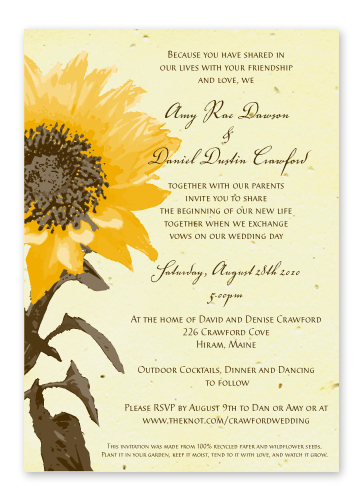 This bold sunflower design is cheerful with a very natural, organic appeal. 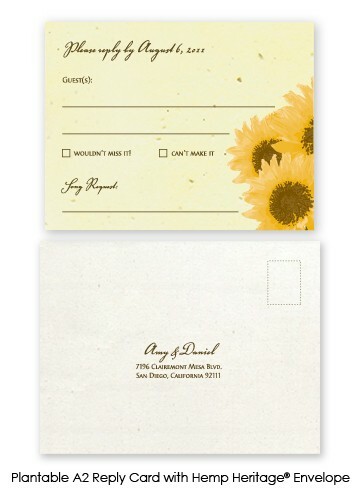 We suggest printing this design on Butterscotch or White Grow-a-Note® paper. It also looks great on our Hemp Heritage® paper. Customize this invitation with the wording, fonts, soy-based ink colors, paper type and paper color of your choice. This A7 (5" x 7") invitation can be printed on any of our beautiful handmade papers, including Grow-A-Note® plantable seed paper and handmade specialty paper, or our exclusive Hemp Heritage® paper. Growing instructions can be added to the front or back of plantable invitations so your guests will know how to grow them as a unique reminder of the day. Choose from an A2 (4.25" x 5.5") reply postcard or an A2 reply card with Hemp Heritage® envelope. 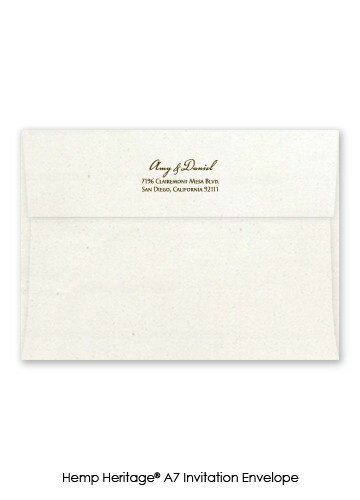 Tie it all together with an A7 Hemp Heritage® envelope with optional return address printing on the back flap. to your credit card for shipping.